At Abbey Logistics we are committed to creating and maintaining a team of logistics professionals. In the fast-paced world of road haulage, logistics and supply chain, technology and procedures are constantly evolving and improving. Abbey has a responsibility to our customers and the public to not only keep up with these changes but lead and drive improvements in areas where we identify advances can be made. To be able to do this, it is crucial our teams of drivers, operational staff, together with our health and safety and compliance teams are trained to the highest standards and maintain the highest levels of training throughout their careers. 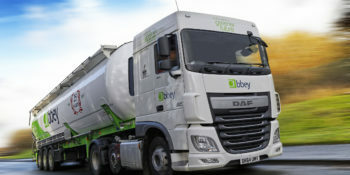 Abbey has a team of dedicated driver trainers and invests heavily in time and resource with the sole purpose of ensuring the professionalism, and integrity of all our operations. All of Abbey’s new drivers undergo a rigorous induction process that covers every aspect of their role, new drivers are shadowed by experienced lead drivers or one of our driver trainers until we are confident they can carry out their role to the standards Abbey and our customers expect. Every driver receives annual classroom and on-the-job refresher training which includes updates on legislation, safety, and customer care issues. Our drivers are also monitored continuously through vehicle telematics to ensure safe operation and maximum fuel efficiency. To keep safety at the forefront of our both driver’s and operational team’s minds, Abbey holds monthly safety briefings on a different safety critical topic at each of our depots and operating locations. These range in topic from driver fatigue to food hygiene or customer site specific matters. 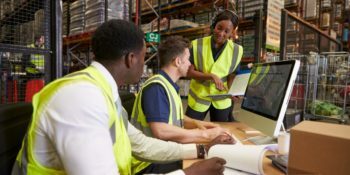 Because of our focus and dedication to providing a service with the highest standards of health, safety, compliance and customer satisfaction, our customers can concentrate on their own businesses, safe in the knowledge that their products are being handled and transported by highly trained and dedicated logistics professionals.